The best location at Fuengirola. 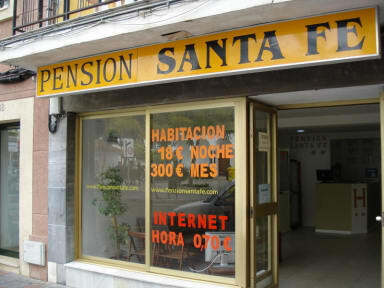 Our hostal is in the center of Los Boliches Fuengirola at 50 mts. From the beach and 100 mts. From train Station Los Boliches. From bus stop 700 mts. It is a beautiful area of Fuengirola full of restaurants, bars and shops (Corte ingles is at 2 streets from the hostal). We have all rooms with private bathrooms, TV Sat (English, Spanish, French and Deutsche) and ceiling fan. 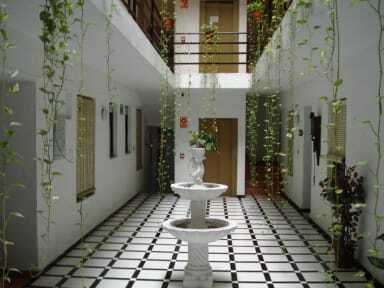 We have 12 rooms with balcony at Los Boliches Avenue. We are also near Recinto Ferial, were you can visit the market on Tuesday and Saturday and festivities. Our beaches are really nice with blueflag of the European Community and at sea promenade you can find a lot of bars, restaurants and night life. We have a service of internet and call boxes in the lobby. There is a sun terrace at the roof. You may leave the luggage for free. Also we have a reception 24 hours. We provide the tourist information to visit all the surroundings. We have a service of bureau change. All of our staff spoken English and Spanish. The lines, towels and taxes are included in the price.